Well,.. I expected there to be some big fight between the werewolves and Victoria at some point. It was weird. I was so used to Edward calling himself a monster, now there is a different type of monster. I understand why Jacob might think of himself like that, but he is doing something great. He probably thought she was a vampire? Which,.. he probably would have noticed if she was a vampire by now,.. but sometimes even though you know the anwser, when someone says something you don't expect you could question it. Definitely not! She shouldn't have told him. She even realized that maybe he was just trying to get information out of her, not in a friend way but a wolf way. The Cullens had their own secret and even if the werewolves do know about it,.. it isn't her secret to share their special things. YES! Obiviously there was still a quarter of the book left,. but I thought maybe just maybe she was going to die! I really liked the last half of this chapter (not because I thought she was gonna die,.. but because of everything that was happening). I thought Victoria was going to appear again. I mean, that there'd be a fight and everything. OMG, Poor Jacob. I felt sorry for him. Well, I thought: "Oh boy, calm down. It's not like she's a vampire!". But he just worried that she'd been harmed because of having relationships with vamps. Afterall, Edward saved her. I thought that it didn't matter, just as she thought. I was so nervous! And that dialogue she had with Edward was so heartbreaking. I didn't think she was going to die. I mean, she couldn't! I thought she was going to faint or something and that she was going to awake someplace, like a hospital or something. That part makes me get goose bumps. I feel like I'm drowning when I read it. I thought it might be foreshadowing something as dark. Kind of saw it as the way Edward unfairly characterized himself. I thought he was going to change right there and then. He probably just initially thought it was one of Bella's clumsy scars. For me, I kind of saw it as a bad thing. When I read this I thought a possible war was going to happen between the two factions. Of course, in hindsight I can see it didn't matter. Bella was right of course. I knew she wasn't going to die. This being the second book of four, kind of suspected all would be well, lol. I do like this scene, specifically how Stephenie wrote it. Nothing really. I thought the wolves would get to Victoria some day. I didn't think he was right. I could understand why he thought it, but it wasn't right. I suppose he was really upset that she could've been a vampire. His enemy. Like her, I didn't see any harm in her telling. She thought they would never return, so why not tell a friend what you know. It was written really well. You could really feel that she could die. But, since you know this is book two out of four and there is still plenty pages left in this book, I knew she wasn't dying. I knew that nothing would happen to her this time, though I did hope that it wasn't "a tradition in the making". He was thinking "those filthy bloodsuckers! ", LOL. 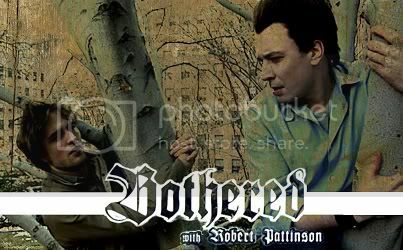 He was probably upset that Edward would ever get her into such a situation in the first place. I don't think it matters that she gave him that information... After all, she thought they were never coming back, so why would it matter? I knew she wasn't going to die, but I found it really sad that when she thought she was drowning, she was so...happy. I can understand why he would feel that way. It couldn't be easy dealing with the discovery that he was something like that. Probably, "so why isn't she a vampire?" And then, on hearing that Edward saved her, "Of course, her bloodsucker really didn't do that to save her! He was probably just trying to get a little taste!" No. There wouldn't have been so many pages left in the novel if she'd died. Besides, the part from the preface hadn't happened yet.